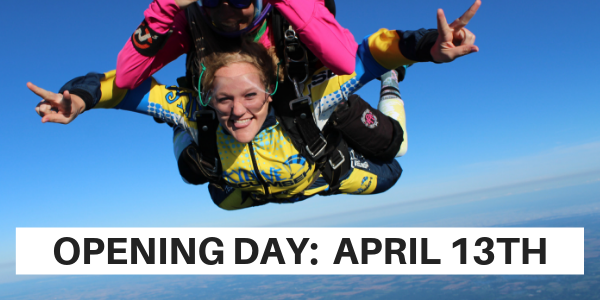 Skydive Tecumseh is the #1 choice for the thrill seekers of Detroit, MI! Located 75 miles west of the city, Skydive Tecumseh is less than a 90-minute drive from downtown Detroit. Our guests visit us from north of the border and all over the state because of our reputation. Skydive Tecumseh has been skydiving for more than 50 years and we’re proud to be one of the state’s and the country’s most respected skydiving centers. Our business model is focused on delivering a world-class experience, not just a skydive. Throughout the United States, there are hundreds of skydiving centers and many are based on high-volume in order to turn a profit. Rather than gaining a life-experience, you’re a number in someone’s logbook. This is not our approach. Though we skydive all of the time, we recognize that exiting an airplane is a major life event and it should be special. We view ourselves as being in the hospitality business which means a high level of customer service throughout the experience. Skydive Tecumseh flies a Beechcraft King Air – one of the fastest jump aircraft in the world. Our staff love it and we think you’ll love it too! Aside from the speed, there’s the added bonus of flying in a multi-engine aircraft as opposed to a single engine. Should there be an issue with one of the engines, it’s always good to have a second one! Aside from a quick flight, skydivers love altitude. The higher you go, the longer the free fall and that’s what you want! 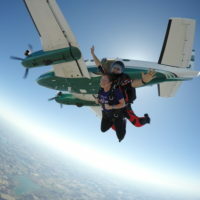 We offer skydives up to 18,000 feet. We also offer 9,000 foot and 14,000 foot jumps as well. Skydive Tecumseh is highly experienced. We’ve been operating for over 50 years and have a great reputation in the skydiving industry. All of our tandem skydiving instructors have no less than 500 jumps (the majority have thousands of jumps). They’re also very personable and want to ensure you have a great experience! Detroit Skydiving At Its Best! If you’re searching for the best skydiving facility to Detroit, you’ve come to the right place! Click here to schedule your jump!